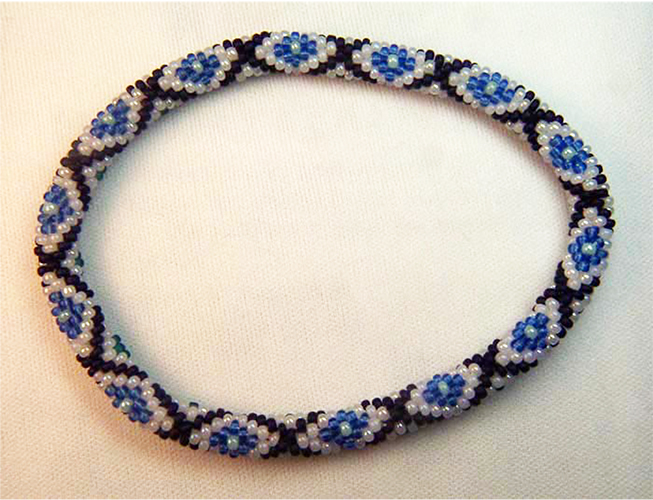 This bracelet uses a bead crochet stitch and six colors of Blue Moon beads, which are numbered in the material list. 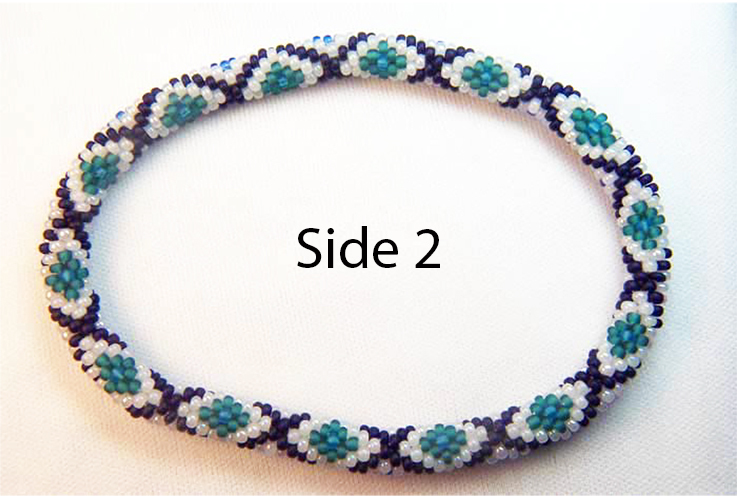 Crocheting slipstitch, the white, blue, and green beads create a lovely bracelet in an interesting pattern that creates a fascinating effect with colors that should complement several of your outfits. One set of diamonds shows on one side, with the other set of diamonds on the reverse. 8.0 inch bracelet. However, you can lengthen or shorten the bracelet by using more or fewer repeats of the pattern.